Historical Perspective: Led by Frederick Law Olmsted (as portrayed by Gerry Wright) and Park Ranger Alan Banks of the FLO National Historic Site. 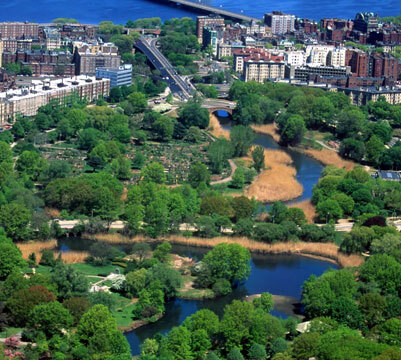 Present Conditions: Docents Stan Everett and Don Herzlinger from the Emerald Necklace Conservancy will speak about the Fens and the Muddy River as they are today. Progress and Future: Fran Gershwin, Chair of the Muddy River Restoration Project Maintenance and Management Oversight Committee (MMOC), and Margaret Dyson, Director of Historic Parks at Boston Parks and Recreation Department and Ex Officio member of MMOC, will provide a presentation on the current state and future of the project.